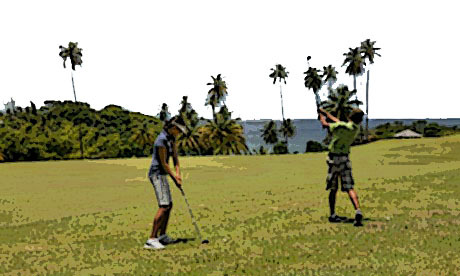 Tobago features two golf-courses of high class. Written by a non-golfer I can only confirm that the landscaping and the surrounding are beautiful and well maintained. Golfing in Tobago is either done at Magdalena Grant or in Mount Irvine, Check the respective websites to find out if this is what you are looking for.